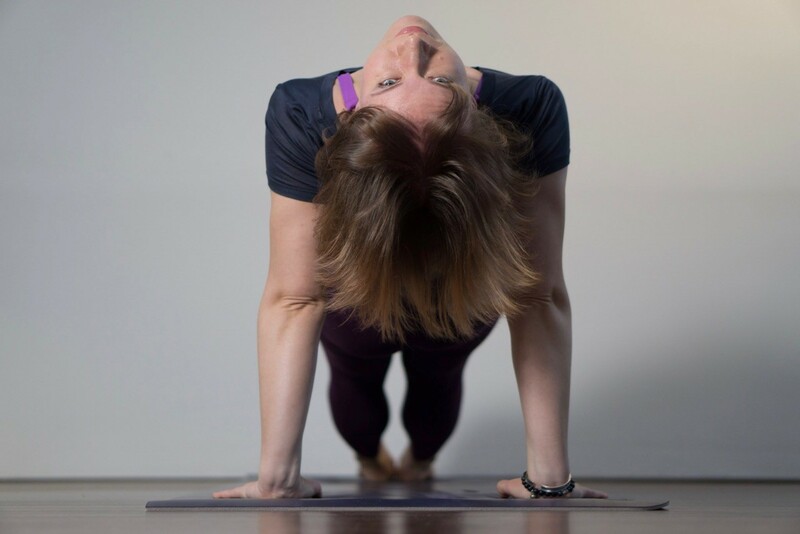 A practice for all levels, you will flow through a fun VInyasa-style practice using creative sequences, deep breathing and yoga helping props. Your instructor will incorporate both traditional and non-traditional yoga movements to create stability and strength throughout your body. Core work and balancing are central to the active sequences in this practice, while deep stretching and relaxation are saved for the close. This class is a perfect way to perk up your morning; to stretch and activate so you can take on the balance of your day with power. We heat the room for Hot Vinyasa Flow to between 35°-38° celsius. Our yoga gurus at Hot Flow Yoga have developed this as our signature class sequence. Rooted in the basics of all yoga, this practice is for purists and adventurers alike, as it explores rounded movements with purpose. The set series of poses allows for you to modify posture for your own best practice. Your yoga instructor will guide through the practice in a Vinyasa Flow style promoting improved strength, flexibility and body awareness. We heat the room for Hot Signature Flow to 35° celsius. A yoga practice to slow down the pace of your body and mind. A series of longer holds and restorative postures, this is the perfect setting to wind down and recharge your batteries. Ideal for both beginners and experienced yogis who appreciate a slower burn. We heat the room for Relax and Flow to 33° celsius. This practice combines yoga with the ancient custom of using essential oils for forehead, shoulder, neck and back massage. As the sense of smell is directly related to various parts of our brain regulating memory, emotions and hormones, this powerful relaxation technique works to promote healing, connection and helps maintain emotional presence in your practice. Hot Core Flow is a core-focused practice combining relevant work from Power Yoga and Vinyasa Yoga into one elevated experience. With this practice, you help expand your physical and mental limits by reaching for your personal best with invigorating, creative flows. This practice is ideal for all levels, as you can modify for what feels best for you. We heat the room for Hot Core Flow to between 35° – 38° celsius. We mix traditional Vinyasa Flow movements but here we add the resistance of weights. This combination will provide more muscle-toning exercise and calorie-burning power; a flow suitable for all levels giving you a workout from head to toe. We heat the room for Hot Shape Yoga to 35° celsius. An invigorating practice covering the first part of the Primary Series of the Ashtanga Vinyasa system. This is a traditional sequence helping to increase your focus, strength and flexibility by allowing for movements to be kept at a pace that honours breathing. We don’t warm the room for Ashtanga Style Flow, so be prepared to bring the heat! A stronger, faster-paced yoga practice designed to focus on the breath, breathing rhythm and the relationship to each pose. This class draws its roots from Iyengar and Ashtanga traditions so it not only works on your alignment, but also creates fluidity from one post to the next. Power Yoga was rated #1 for weight loss, compared to all other forms of yoga. This practice is a full body workout creating longer, leaner muscles and improved circulation. This class is ideal for clearing out static in both body and mind to prepare you for Savasana. We heat the room for Hot Power Flow to between 35°-38° celsius. Yoga nidra, or yogic sleep, is an immensely powerful meditation technique, and one of the easiest yoga practices to develop and maintain. While resting comfortably in savasana (corpse pose), this systematic meditation takes you through the pancha maya kosha (five layers of self), leaving you with a sense of wholeness. A yoga practice focused on slowing down the mind and body. A series of restful postures in a slow sequence designed for you to travel inward, surrender and quiet your body and mind. This is our most gentle yoga, by candlelight, and we heat the room to 32° celsius. Ball Therapy Yoga is a class based on the three P’s: Pain, Posture and Performance. It focus on eradicate pain, improve posture and enhance performance through a combination of yoga, Corrective Exercise, Self-Massage and Breath Techniques. By identifying the areas of your body that are most overused, underused or misused, Balls Therapy Yoga restores injured muscle, boost strength and build correct movement patterns. Hot Pilates Fusion is a blend of mat pilates and yoga. A challenging practice to increase core stability and strength, while energizing you with music and sweat in a lightly heated environment. Here we promote mindful weight loss, health and the love of fitness. High Intensity Interval Training is a great cardio exercise flow alternating between intensity bursts and low- to moderate intensity recovery. Ballet dancers have one of the hardest training to achieve the strength and the figure needed in order to perform. In this class we created a series of exercises focused on provide you an intensive work out. The Essentrics workout is a weight-free body toning, strength and flexibility practice where muscles are worked from extended positions. Some of the moves feel like classical ballet, while others will remind you of yoga, pilates and tai chi. Challenging arm and leg lift exercises will take you for a ride, by the end of the set, your body should feel the heavy workout. The technique relies deeply on finding correct posture through rebalancing all our 650 muscles and 350 joints. A Full Primary Series Ashtanga yoga led class is a traditional 90-minute class, counted in Sanskrit that takes you through the full first series of the Ashtanga Vinyasa method. Students are led through the vinyasas in a continuous fashion, with an emphasis on asana names and breath counts. Ideal for individuals, who already have an Ashtanga practice. It is not recommended as a starting point to explore the Ashtanga Vinyasa method given the level of difficulty of this class.